"When we were growing up on Walton's Mountain, Sundays were very special. Six days a week overalls and sneakers were the family uniform, but on the seventh day we got out our "Sunday go to Meeting" best, shined and scrubbed and brushed and polished. Getting ready to go to church was as much of a ritual as the services once we got there. I remember one February Sunday that began like any other but ended in the gravest crisis our family ever faced, a crisis that threatened the sheltered life we'd taken for granted and tested our belief in God's mercy." As John cleans his fishing equipment the rest of the family prepares to go to church. Olivia is impressed with Jason's harmonica skills. After leaving church Olivia falters in her step saying that she has no strength in her legs. When they return home they find the Baldwins sisters waiting for them with John. Their visit is cut short due to Olivia's weakened condition. When she tries to retire to the bedroom her legs give out and John carries her upstairs to their bed. While the children husk corn in the barn, Grandma arrives to send John-Boy to fetch Dr. Vance. He diagnoses her with polio. The family works to help do their part in keeping the house running. Reverend Fordwich arrives with a signature quilt made by the Ladies Aid Society as a token of their affection. Dr. Vance applies stints to Olivia's legs and gives the children the okay to visit with their Mama. Erin can't bear to see her Mama sick. She runs out to the barn. John-Boy finds and comforts her and she goes to be by her Mother's side. Olivia begins to encourage each of her children to rise to their potential. 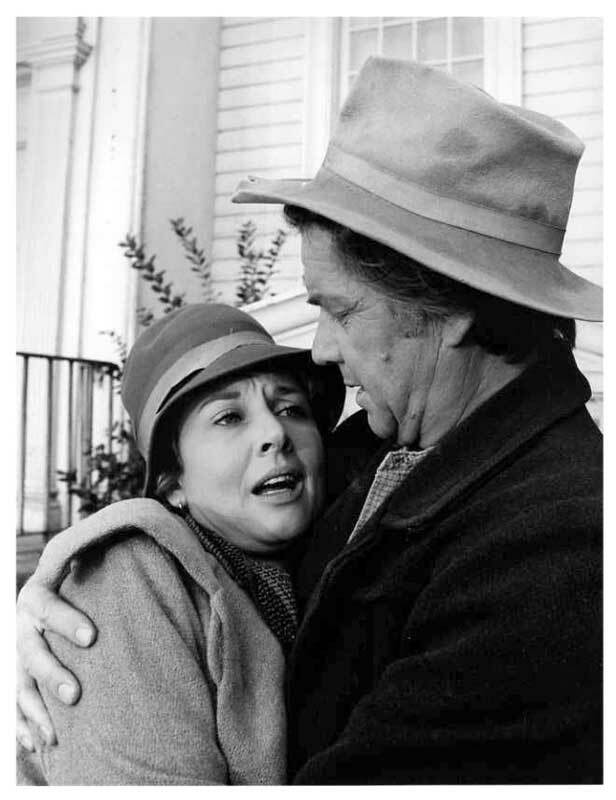 John-Boy suggests that he and his mother can look at this college admission requirements. He visits the school to get the forms and while there he meets with a professor who is studying polio. He promises to send John-Boy some radical new information developed by a Sister Kenny in Australia. While John-Boy helps Mary-Ellen with her dance steps Olivia begins to move her foot. The professor visits with Olivia and brings the information from Australia. He had polio as well and walks with crutches and braces. It is a disturbing eye opener for the family. Olivia is eager to try the new methods. Meanwhile the children continue making progress with their plans. Ben, who wants to be a salesman begins to sell magazine subscriptions, Jason auditions for an amateur contest and Mary-Ellen works at her dancing with G.W. The Baldwin sisters arrive with the gift of a wheelchair but Olivia is not interested in using such a device. The family returns from the amateur competition and Jason performs his song “The Ironing Board Blues for his Mama. He has won first place and a new guitar for his performance. Olivia tries to walk on her legs but finally resigns to the fact that maybe she will need the wheelchair after all. John-Boy can't accept that fact and runs up the mountain in frustration. John chases him and the two debate the issue. The next morning though when Olivia hears Elizabeth call her name she gets up out of bed and walks towards her voice. John and the family rushes to see her standing on her own two feet by the window. Olivia is able to see the crocus's that the family has planted outside for her with her own eyes. The family including Olivia and John attends the Easter sunrise service held outside on the mountain. "My mother did go to the sunrise service that Easter morning, and there was a special joy in all our hearts as she stood leaning on my father's arm, facing into the first glorious rays of the sun which rolled back the darkness and warmed the wakening world to new life and hope. Many Easters have passed since then, other Springs have been slow to come, but inevitably Winter has yielded to Spring. The years have brought the full quota of blessings and trials, joys and heartaches. The same old questions recur - Why my child? Why my wife? Why me? Why? And the search for answers has been taken up by new generations of grandchildren, but it's still reassuring for me to catch the echo of those dear familiar voices on that Easter, long, long ago." 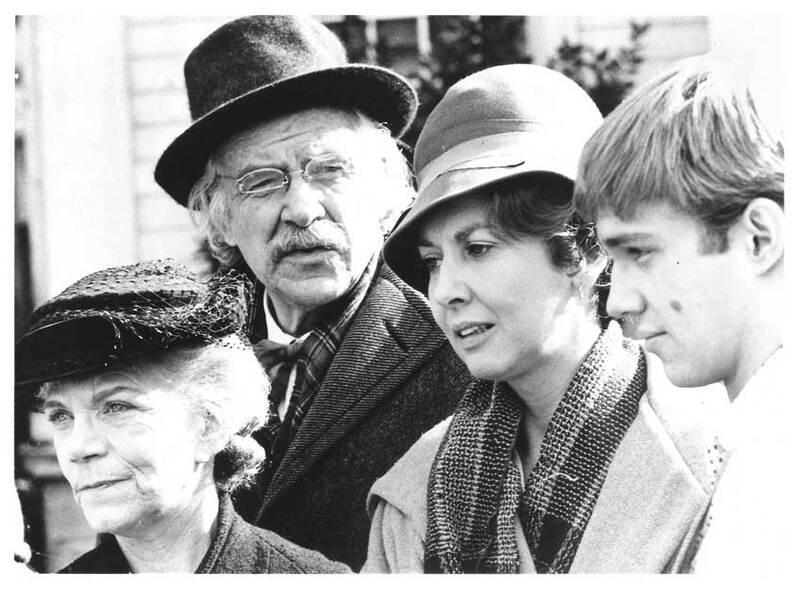 When the family leaves the church at the beginning of this episode they are in fact walking out the front entrance of the building used for the Walton's Mountain school house. Jon Walmsley's musical talents would continue to shine throughout the series but it should be noted that he wrote the song "The Ironing Board Blues" which he performs in this episode. 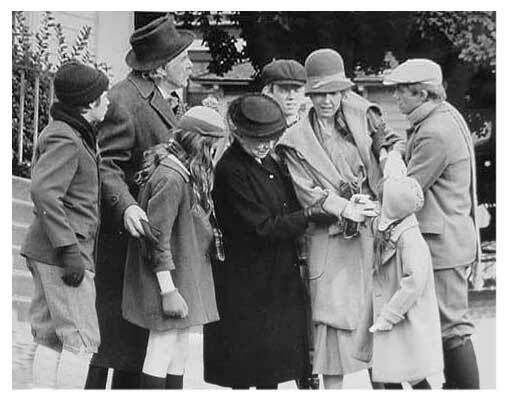 This episode was also known as "The Walton's Crisis" in certain parts of the world. The Baldwin sisters go to the episcopal church where their father was a deacon. Ben begins to sell and distribute subscriptions to various magazines including Liberty, Collier's, Harper's and The Saturday Evening Post. This episode ends with scrolling credits instead of the usual static title cards. Grandpa spoofs the lyrics to "Bringing in the Sheaves" and talks about church. Jason sings his song "The Ironing Board Blues" for the family. The church family sings "Hallelulah" and Earl Hamner's closing words.